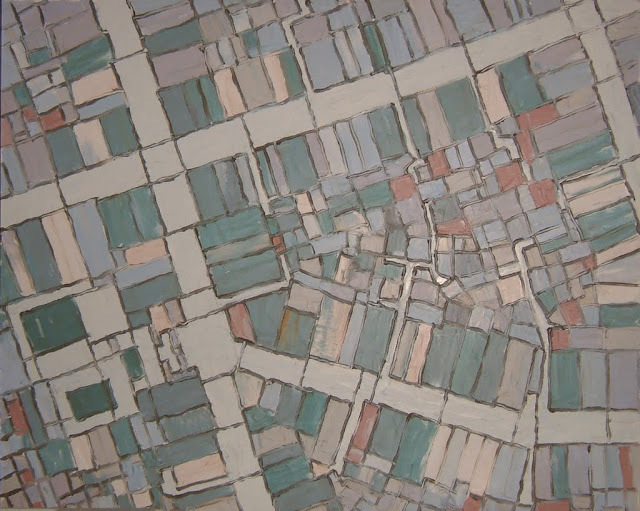 An abstract painting based on streets and buildings in a Japanese city. MSH has this one. 29" x 36".